Your teeth are vulnerable to damage other than decay. Sports activities for instance put your teeth in a situation where they can be chipped, cracked, or even knocked out. Even in sleep, your teeth can be compromised by bruxism. So how do you protect your teeth during these times? 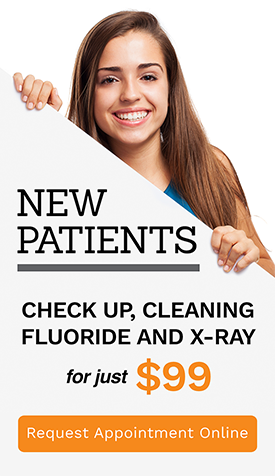 Your A Plus Dental dentist can help! At A Plus Dental we create custom-made mouthguards and night splints for optimum protection. So your teeth are always safe in play or sleep! Mouthguards are dental appliances worn by sports-enthusiasts to protect the teeth and the soft tissues in the mouth during sports. This protective equipment receives the impact and cushions the blow in case of an accident. Below are some of the accidents that can be significantly minimised by mouth guards. 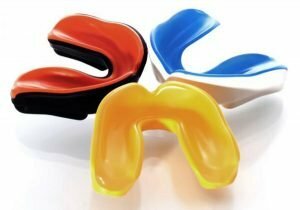 Stock mouth protectors – This type of mouthguard can be purchased in drugstores and sporting departments. They are inexpensive, ready to wear items, and therefore are not fitted to a person’s unique measurements. They are bulky and sometimes hamper breathing. Boil and bite – This type of mouthguard needs to be soaked in hot water first before being placed in the mouth and shaped to fit the teeth. They offer better protection compared to stock mouth protectors, but still do not fully protect the teeth. Custom-fitted mouthguards – This is the best type of mouthguard. They are crafted by dentists based on a person’s unique measurements. The result is a perfectly-fitted device that does not hamper breathing and speaking, and offers maximum protection. Mouthguards are made from an impression of your teeth so they fit perfectly in the mouth and provide the best comfort possible. Below are more benefits offered by custom-made mouthguards. Just like mouthguards, night splints are dental devices worn in the mouth to protect the teeth. They are worn by bruxism sufferers. Bruxism is a disease of the jaw, which involves excessive and unconscious grinding of the upper and lower teeth. It can happen anytime but is most prevalent at night, during sleep. Unprotected, the teeth are flattened, chipped, fractured, and may become loose. Bruxism sufferers may also experience a sore jaw and a numbing headache upon waking. The underlying cause of bruxism has not been discovered, however recent studies show links of the disease to stress and ADHD. At A Plus Dental, we help our patients manage the disease through jaw exercises, conscious omission of stressors, and night splints. The device stops the upper and lower teeth from damaging each other when they meet. Protect your teeth during play or sleep with durable mouthguards and splints at A Plus Dental. Our custom-made devices offer maximum protection without spoiling your fun or sleep. If you are a sports enthusiast or if you wake up to a sore jaw, see your A Plus Dental dentist right away!